A Battlefield 5 half price sale has gone live just two weeks after the game’s full launch. The World War Two shooter can be picked up for less if players redeem a code through their copies of Battlefield 1, Battlefield 4, or Battlefield Hardline. Some fans paid up to $70 to play Battlefield 5 before its official release and the move has drawn a fair bit of anger for the series. If you’ve been waiting patiently to pick up Battlefield 5 for less during the Christmas period then your patience has paid off. Because the game can be picked up for an astonishing 50% off until December 20, just two weeks after the game launched for all players. The discount can be redeemed by players who have copies of Battlefield 1 – which was included with the Xbox Games with Gold bundle last month, Battlefield 4, and Hardline. 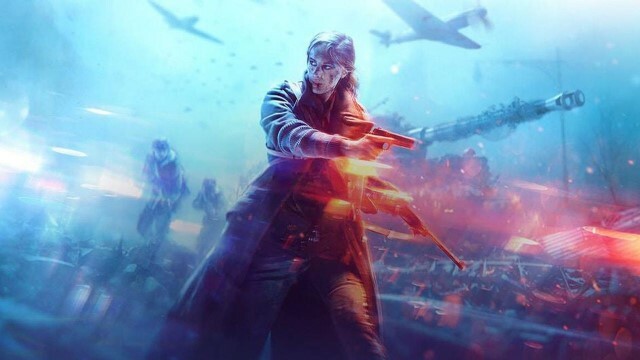 It’s been a difficult time for Battlefield 5 since its October release, with many seeing the game as incomplete at launch and offering a fairly generic approach to gameplay. And with the news that the game’s battle royale mode won’t be available until 2019 and it seems that good news it tough to come by in the game. As you might expect, the massive discount has irked a lot of fans. One player replied to the news, asking “Are you ******* kidding me. I just paid full price for this game two days ago. What a ******* joke.” While other, far less helpful players, took to getting in their “I told you so” comments. It’s not the first time we’ve seen fans angered over untimely discounts, with Shadow of the Tomb Raider suffering from review bombings following a discount after being out for a month. Whether or not Battlefield 5 getting similar treatment remains to be seen. And while it’s a move that’ll hopefully see the game shift a few more copies, it another move by EA that looks to have burned a lot of fans once again, something that’s led to the question of whether we’re entering a “Too Big To Fail” situation with some publishers.